On Sunday June 14th I travelled over to Glenn Park in River Falls Wisconsin. I love that park, there’s a cool bridge, paths along the water, parks, a pool and lots of open terrain to run and play. These photos are a gift for someone, so we were limited how many we could make public for awhile! I loved the colors the family chose! They coordinated really nicely and the colors made the kids really pop! 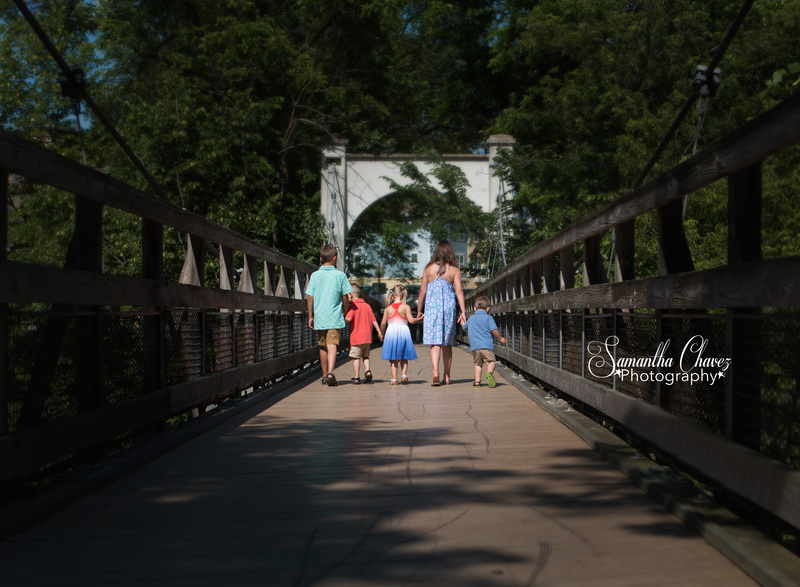 We decided to visit the bridge first for some pictures. We had to duck and dodge a few pedestrians that also wanted to cross the bridge, but we made do. 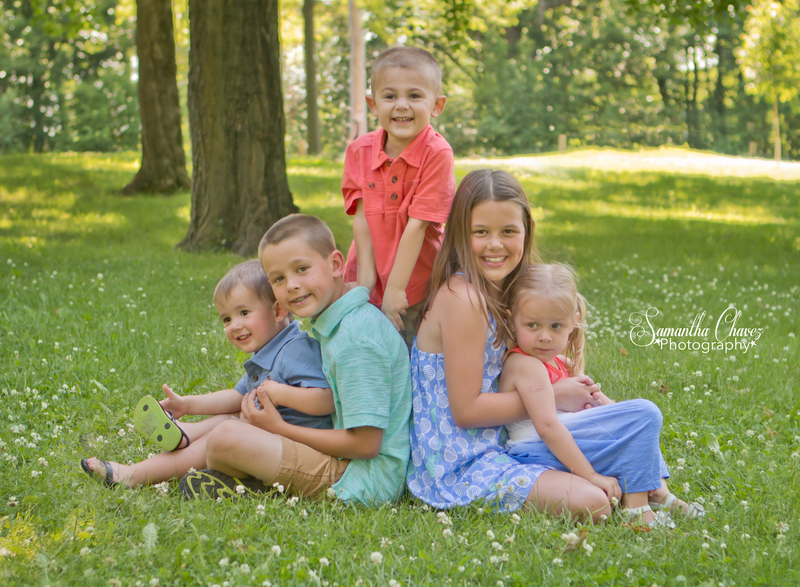 The real challenge was trying to wrangle 5 kids to take a photo! But between 2 moms and myself we were able to do just fine. To my surprise the kids cooperated really well (significantly better than my own). I was impressed that we were able to convince the kids to stay put for a photo, of course mom had done some prior thinking and brought fruit snacks to use as bribery! Way to be thinking ahead mom! some individual images of each kid in this phase of their life. They all seem to love modeling, which works out great for me! 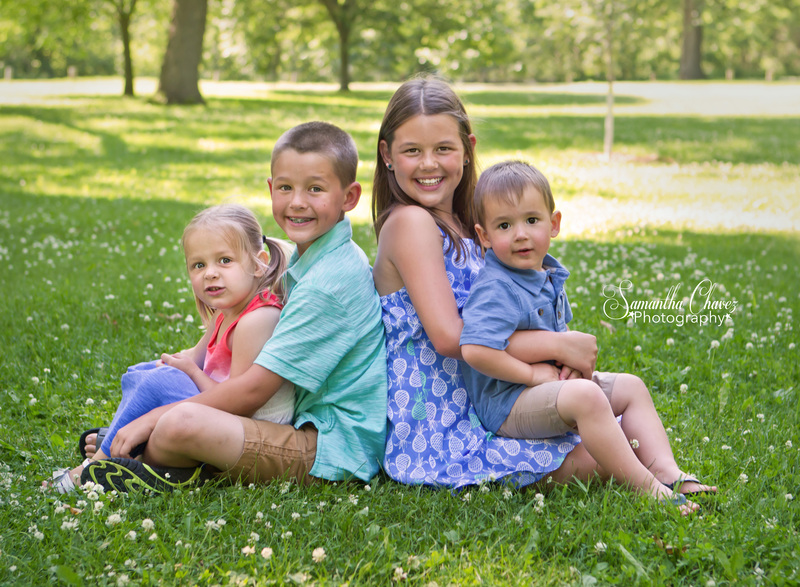 We got some of just the Knutson kids, and made sure we added the cousin in for a few group shots too. These are just a few of the great shots we were able to capture of these kids. 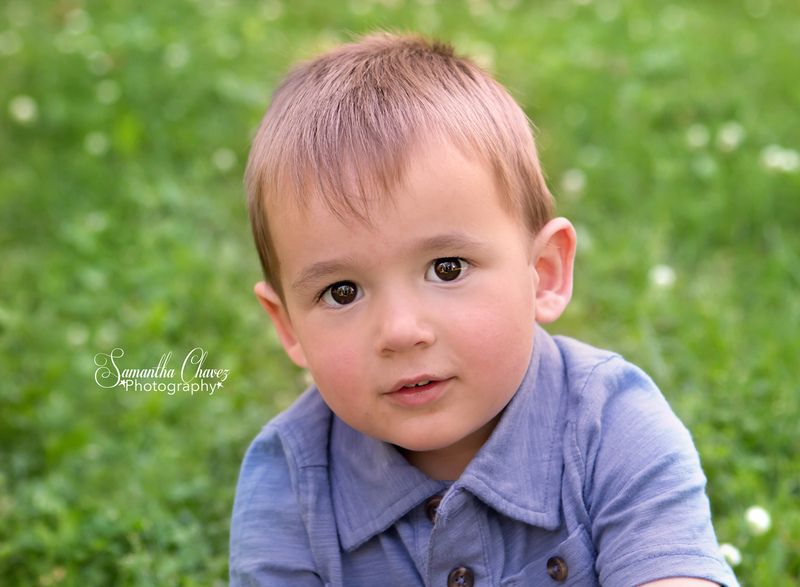 I am a Woodbury Photographer, but I am happy to travel outside of the immediate metro area! There is a travel fee for any location beyond 20 miles of Woodbury. I had such a great time with this family. I hope to see them again soon!